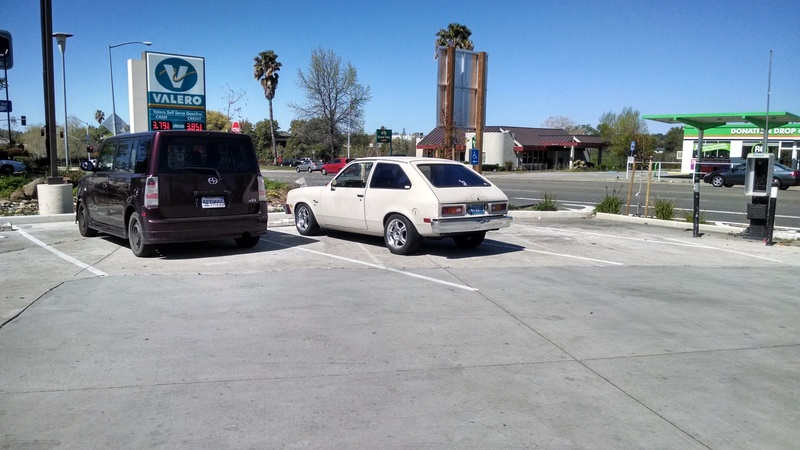 Chevette Road Trip Part #2! After the smooth decent from the mountains, I stop in Rocklin to get gas. 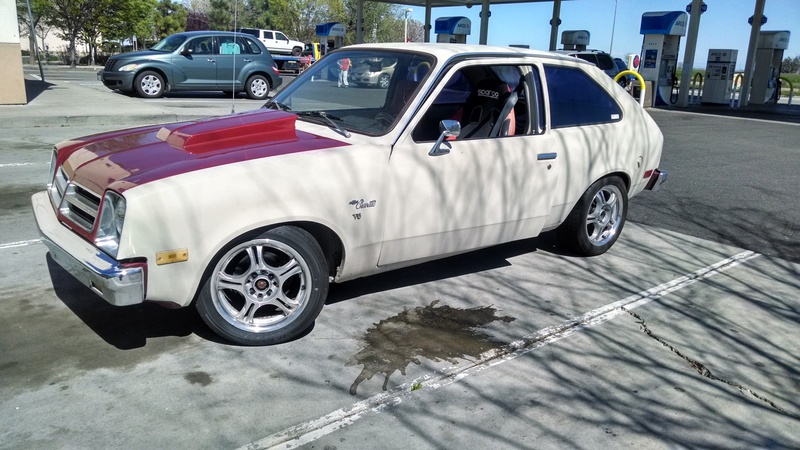 The Chevette did not like the uphill portion of the mountains and I was averaging about 14 miles per gallon. Pretty sub-par. While gasing up I notice a small amount of gas leaks as I’m adding it into the tank. It seems to be coming from the filler tube but, because of the shape of the Chevette’s fill area some gas leaks out anyway. I figured it was fine, I’d just be extra careful when filling it. With a 3/4 tank, I got back on the road. Sunny with a chance of awesome. From Rocklin through Fairfield, it is a lot of highway with flat straights. I cruised at a steady 65 mph through this section. Thanks to the amazing California roads (ie. bumps, potholed, cracked), I went over a fairly large bump just outside of Sacramento and I began hearing a metal-on-metal tick over every small bump or crack in the road. 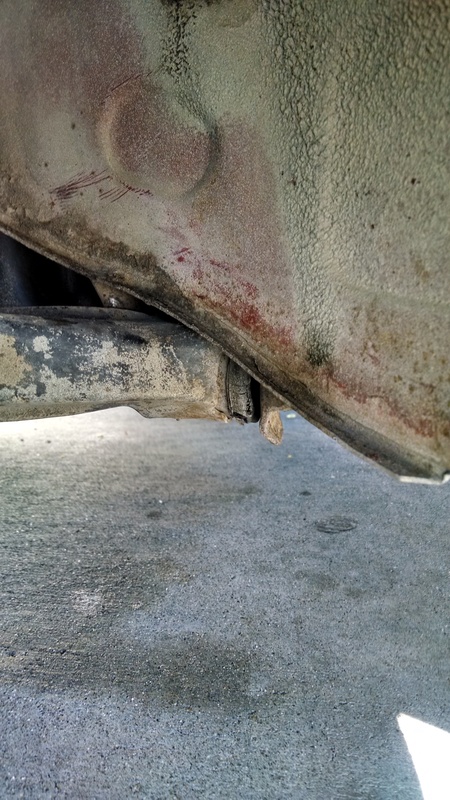 At first I was thinking it was the exhaust or I was a ping from the engine, but it only occurred over small bumps that caused slight suspension movement. I stopped to investigate. Note: The spill was already on the floor when I got there. 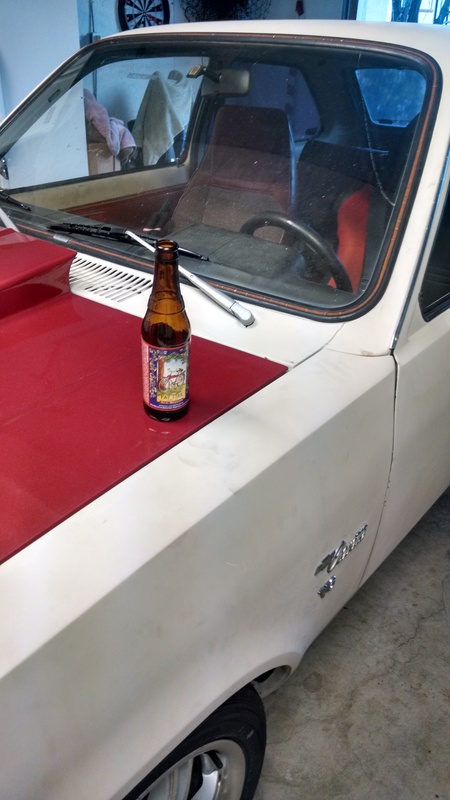 I inspected the engine and the exhaust and it looked fine. I pushed down on the bumper and each push caused the metal sound. I turned the wheel and checked what I thought could be my brake lines. It looks like there was some interference with the brake lines scraping but not a metal on metal sound. Further inspection showed that the bushing was definitely done and was the reason for the noise. 65 mph all the rest of the way for sure. I was a tad worried. As I reached Martinez, I pulled over at the vista point because the noise wasn’t going away and It gave me an excuse to take a picture of the amazing view here especially in the spring weather. I’d hit this road up another time for sure. Other than the noise coming from my driverside control arm bushing and the fumes, the rest of the trip went swimmingly. The total time for the trip was 6 hours with an average of 15mpg. Oil pressure stayed low(>20psi) the whole trip. Victory Beers Taste so sweet. 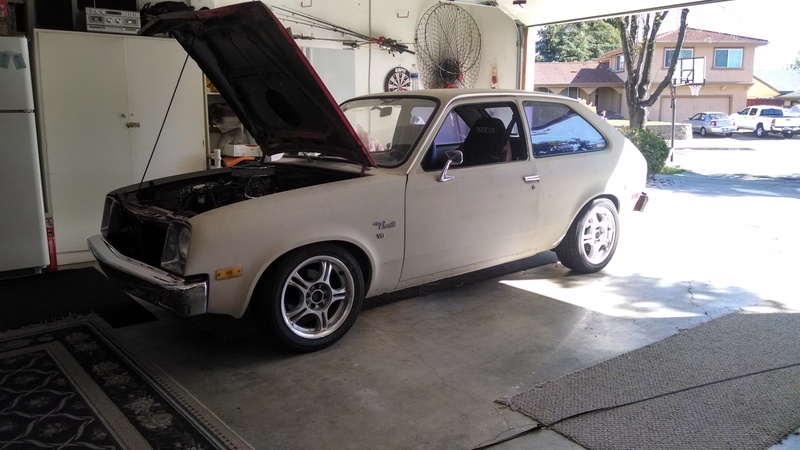 Stay tuned for some more Chevette updates and fixes. Maybe a part 3.